Some say the Monterey Bay is the greatest meeting of land and sea – and I have to say I agree! An inspiration for many famous poets, authors, and artists including John Steinbeck, Henry Miller, Edward Weston and Ansel Adams, to name just a few – Monterey is a destination that everyone should consider adding to their travel bucket list. From the magic of Point Lobos to the blooms of wildflowers dotting the hills of Carmel Valley, the picture-perfect waters of the Monterey Bay to historic Cannery Row – the Monterey Peninsula is a true jewel on the crown of California’s Central Coast. 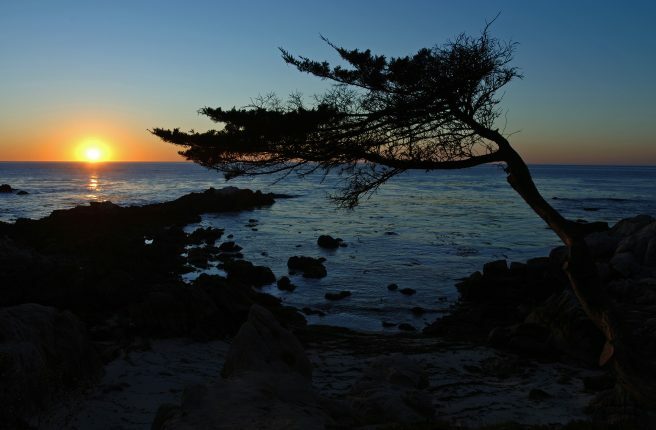 When planning your trip to Monterey, there a handful of not to miss attractions and destinations, one must experience. Take a gander at our top five recommendations. The Monterey Bay Aquarium – spend the day going Under the Sea at the Monterey Bay Aquarium, located in the heart of historic Cannery Row. Walk through awe-inspiring exhibits and get up close and personal with marine life. Watch sea otter feeding shows, take a behind the scenes tour while exploring the wonders of the ocean. 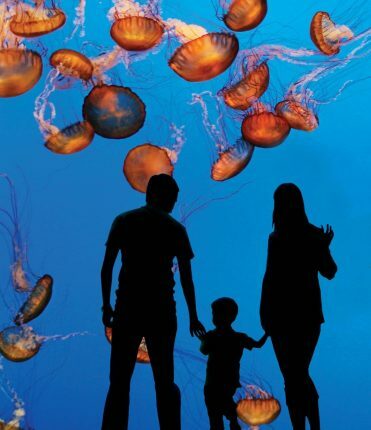 Home to more than 35,000 creatures and almost 200 exhibits, the Monterey Bay Aquarium is perfect for all ages. Point Lobos State Reserve – referred to as the “crown jewel” of California’s 280 State parks, Point Lobos offers some of the most majestic views in all of Monterey County. With wildlife around every corner, explore pine tree-lined forests or hike along coastal trails with views of Big Sur and the Monterey Peninsula. A muse for photographers and artists from around the globe, spend the day exploring and appreciating the beauty of Point Lobos. 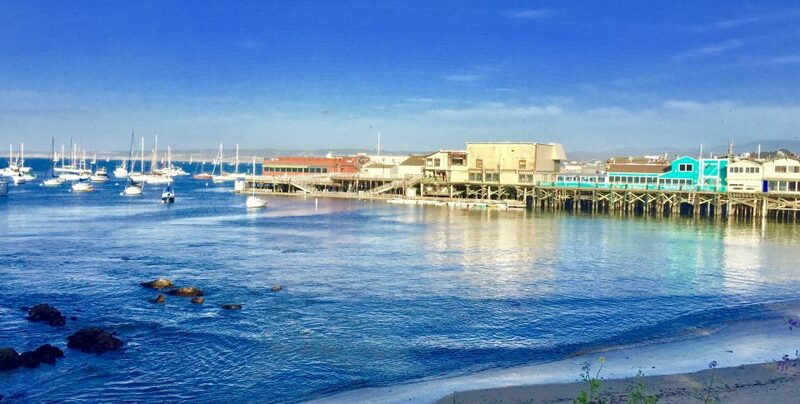 Old Fisherman’s Wharf Monterey Harbor– located just steps from the Portola Hotel & Spa, Monterey’s Old Fisherman’s Wharf is full of nostalgia and picture-perfect views of the Bay. 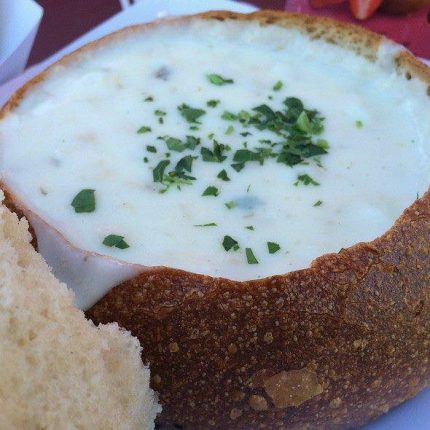 Hop aboard a whale watching vessels, a glass bottom boat or charter a Bay Cruise; taste fresh clam chowder and crab and visit kitschy candy stores and souvenir shops. Carmel by the Sea – made famous by poet Robinson Jeffers and Hollywood actor/director (and once up a time, Mayor) Clint Eastwood, this charming town is lined with upscale boutiques, galleries, cafes, candy stores and the world-famous Carmel Beach. Known as one of the most dog-friendly cities in the United States, this one square mile village is a dream. Monterey State Beach – whether you’re just looking to relax on the white sand beaches of Monterey or take a dip in the Pacific, Monterey State Beach offers gentle waves and an idyllic setting to watch sailboats passing by, kayakers, stand up paddle boarders and the occasional dolphin or sea otter sighting. Set up a beach picnic while the sun sets and enjoy a bottle of Monterey County Wine and other local delicacies.